With support from a $500,000 bequest, ACRES recently expanded its land management efforts, adding a second full-time specialist to the team that cares for the nonprofit’s seven thousand-and-growing acres. The bequest, from the estate of Patricia Barrett, adds to ACRES’ land management endowment, a fund established by Patricia’s husband, the late James W. Barrett, III, who co-founded ACRES in 1960. Additional funding comes through restoration programs and member support. 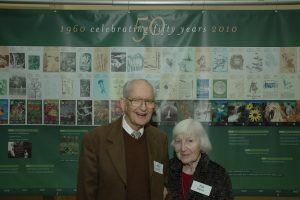 James M. and Patricia D. Barrett established a legacy of caring for natural areas by creating an endowment for land management, funded by their bequests to ACRES. 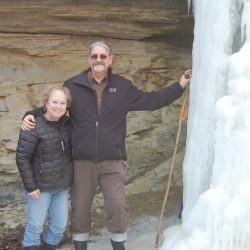 “Jim and Pat Barrett understood well the importance of caring for the natural areas that ACRES protects,” said Steve Hammer, board chair for the swiftly-growing land trust. Previously, ACRES paid contractors to perform limited-scope restoration work with funds designated for specific projects or places. By hiring full-time staff, the organization gains flexibility, efficiency and expertise, allowing the nonprofit to tend to more needs throughout its holdings with seasonal precision. ACRES will continue to hire contractors as needed. Today, ACRES employs seven full time staff members, three of whom serve its land management team. 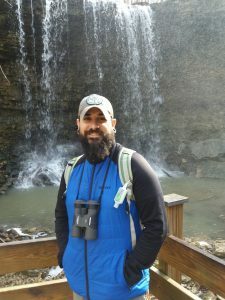 The division, directed by Casey Jones, takes responsibility for establishing best practices for tending its 116 properties and 70 miles of trails. With the significant Barrett bequest, ACRES expanded land management efforts, adding Matt Dunno as a second full-time specialist to care for our seven thousand-and-growing acres. Matt Dunno joins ACRES as its newest land management specialist, working alongside Evan Hill in the field. The team fights non-native invasive plants, such as Autumn Olive, Bush Honeysuckle, Multiflora rose and Japanese stiltgrass, newly identified to northeast Indiana in 2016. Dunno and Hill also install and repair steps, bridges and board walk, preserve signage and parking areas, remove fallen or dying trees along trails, mark and monitor boundaries and more, depending on the season, the weather and project funding. “That’s what I love about the job. There is no typical day. Tomorrow will probably be completely different,” said Dunno, heading into the rain, chainsaw in tow. Dunno most recently worked as part of Crowe Forest Management, and he volunteered and worked under contract for ACRES. 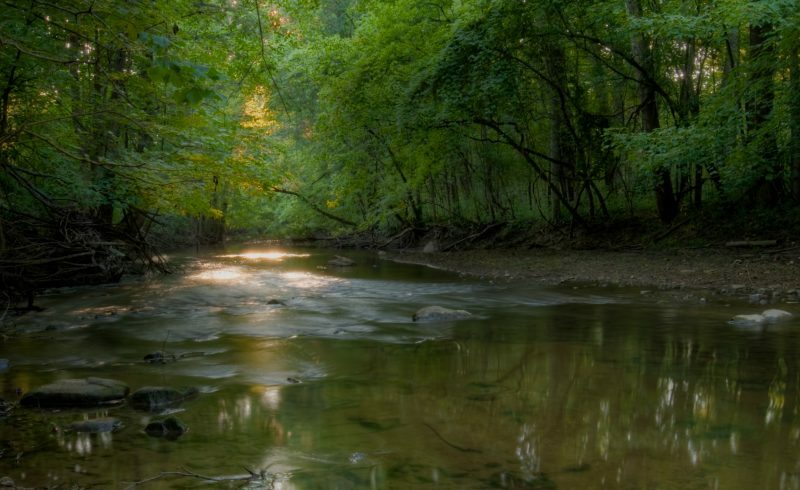 Barrett bequeathed a similarly significant gift to Little River Wetlands Project, a non-profit Jim helped establish in 1990 with the goal of restoring and preserving wetlands in the watershed of the Little River, a headwater tributary of the Wabash River. Jim later served on LRWP’s General Advisory Board. Jim’s gift established LRWP’s Wetland Heritage Fund, which supports stewardship and land acquisition. Patricia’s generous bequest went directly into this fund to grow LRWP’s efforts to protect and restore wetlands. 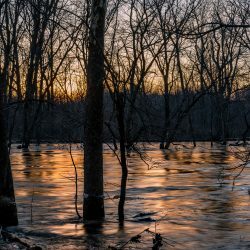 ACRES Land Trust protects 7,052 acres of natural forests, wetlands, unique geological formations and threatened wildlife and plant habitats in the tristate area. The member-based nonprofit also protects farmland, managed forests and other property that donors wish to protect.